Made of black canvas and black leather. Hold your valuables securely in this fine drawstring pouch. 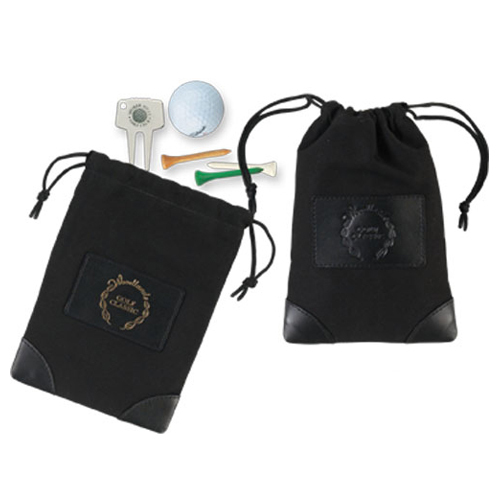 Perfect to hold giveaways at your next golf event or tournament. Golf ball and tees not included. Poly Bag / 1 oz lbs / 1 pcs. Imprint Area: 3" x 1 3/4"